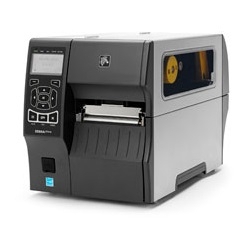 Our company offers specific warehouse hardware to meet modern system needs. Humanitarian Software LLC is a full service provider. As part of your system design we can recommend and provide warehouse automation hardware to give a full turn-key installation. We provide hardware and equipment along with the qualified engineers to help with setup and training. Most commonly we setup wireless networks and barcode or RFID scanning equipment to work with our enterprise software solutions. Below are just a few of the most commonly installed hardware items. 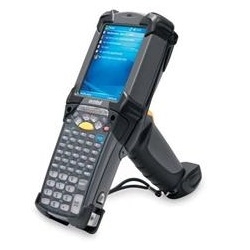 The Motorola 9200 series rugged “gun-style” mobile computer (with barcode scanner built in) is the industry leading gold standard for mobility in demanding environments. Using wireless RF communications, these computers work with the server (cloud or local) in real time. This gives instant information validation and updates in every transaction. With millions of these units in service every day, they are by far the proven standard for warehousing operations. 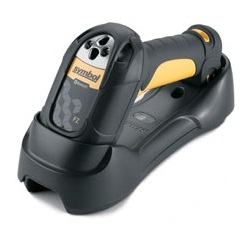 For short range operations where scanning barcodes would be part of data entry, Symbol’s line of wireless scanners are a great choice. They work as a “wedge” to input data on an entry screen on your PC. These work well at a receiving or checkout desk. 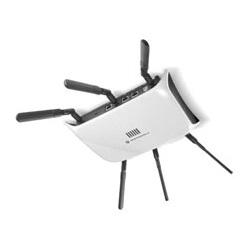 Symbol and Motorola industrial grade access points are highly recommended for wireless warehouse operations. The Motorola AP 7131 802.11a/b/g/n access point delivers the throughput, coverage and resiliency required to build an all wireless enterprise. The tri-radio modular design provides support for high-speed wireless voice and data services, mesh networking and non-data applications such as IPS.